You can download it HERE (4MB pdf) or visit the SUTP web site to read a summary before downloading. The 50-page booklet is by Tom Rye, Professor of Transport Policy & Mobility Management at Edinburgh Napier University. It is a wonderful resource, rich with detail on parking management policy options and real-world examples. Even better, it has a special emphasis on the needs of cities outside the 'West', with examples from every populated continent. I don't agree with everything in it but that doesn't stop me from recommending it whole-heartedly. I would urge anyone with an interest in better parking policy to download it and digest it carefully. I will try to post a detailed review when I get some time. 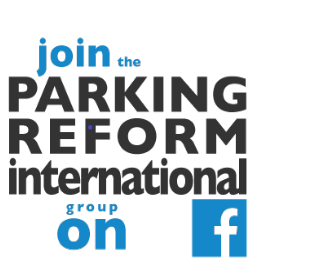 For now I will just mention that, in terms of the parking policy 'paradigms' discussed in this post, GTZ's sourcebook is firmly in the 'parking management' camp in which parking is viewed as a tool for serving wider goals in transport policy and urban planning. If you like the sound of that, you will like this booklet. at the recent Better Air Quality Asia Conference in Singapore. Thanks for posting this article. Professor Rye raises some interesting points in this guide.